Focusing only on one sport, year-round, can increase kids’ risk of injury and burnout, according to the recent position paper on the dangers of sport specialization put out by the American Academy of Pediatrics. But the incidence of early specialization in so many of our youth sports continues, regardless of doctor’s orders. 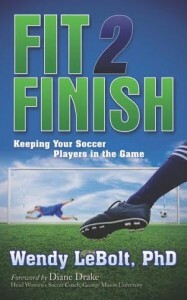 I’ve talked with many parents who lament the time their kids are “required” to devote to their single chosen sport. Parents feel powerless against the steamroller of culture which is ‘forcing their hand.’ It’s easier just to give in than hold the line. We need help saying “no” to our kids in this age of excess. And this is old news! It was making headlines in 2004! With thanks to Michele LaBotz, MD, executive committee member of the American Academy of Pediatrics’ Council on Sports Medicine and Fitness, let’s outline a strategy for this conversation. Also beware that with early specialization often comes early intensification. Not only are children focusing on one sport, but the competitive pressures for selection usher in a higher intensity of training: more days, more demanding, more intense. High intensity and young players is rarely a good mix, and never for long. What does the research say about volume of sports training and injury? 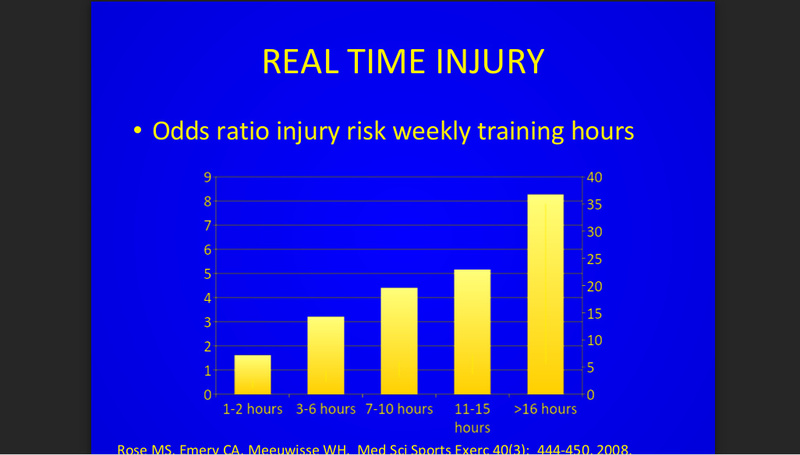 Risk of injury increases precipitously with increased weekly training hours. Training more than 8 months out of the year is associated with a significant increase in all knee injuries, overuse injuries, and hip injuries. Burn out occurs and athlete mental well-being drops off with > 14 hrs/wk sports due to training stress, non-training stress and insufficient recovery time. Athletes report: reduced intrinsic motivation, lack of enjoyment, poor or ineffective coping skills, high perceived stress/anxiety and mood disturbance. Fun goes missing. When is the time to have the “is it wise to specialize” conversation? This means the time to have the conversation about costs and benefits of sports is before puberty. Before coaches are scouting them and wooing them to “select” teams because of their physical prowess and promising college and professional careers, talk about what is healthy, what is good for them and what is good for the family. Have the conversation along with the pediatrician at the child’s pre-pubertal check-up. Here are questions Dr. LaBotz uses with her patients and their families. She highlights the important information she gets from both verbal and non-verbal responses. The answers to these questions deserve careful consideration and a check against what is healthy for the child. What sports do you play? What seasons? How many training years in each? How much time (or mileage, for runners) do you put in? How many days of rest do you get per week? Are you having fun? (Notice the verbal and non-verbal response). Researchers and doctors are telling us that too much of one sport too early is NOT good for our kids and won’t help them fare well in the future. We’ve got to establish a new social and cultural norm in kids sports: Say No to kids playing one sport for 11 months of the year. It hurts them physically, mentally and emotionally, and it doesn’t pay long term dividends. Yes, they love soccer (or basketball or baseball or volleyball) but binge-playing is as bad as binge-eating. Let’s keeping them sampling and choosing between sports for as long as we can. Plus, kids don’t know what they’re missing. They can’t. They haven’t seen it. If you need help having this conversation, call on your pediatrician. 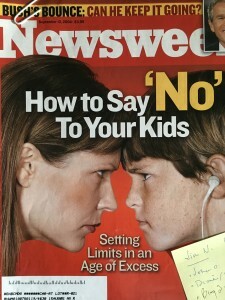 Teaching our kids to say no to too much, too soon, starts with parents learning to say no to too much, too soon. We’re the parents. We know better.